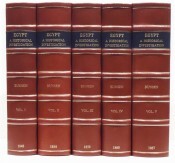 Containing a Genealogical and Historical Account of all the Peers of England, now existing, either by Tenure, Summons or Creation. The Historian's History of the World. Including Zululand, Griqualand East & Pondoland. 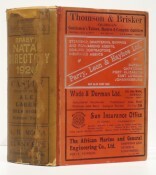 With which is incorporated Davis' Natal Directory. EGYPT'S PLACE IN UNIVERSAL HISTORY. Written in the years 1803 & 1804 Including a particular account of Verdun and the situation of the British captives in that city. The mountaineers & their country. Being a Narrative of Events relating to the Tribe from its Formation early in the Nineteenth Century to the Present Day.